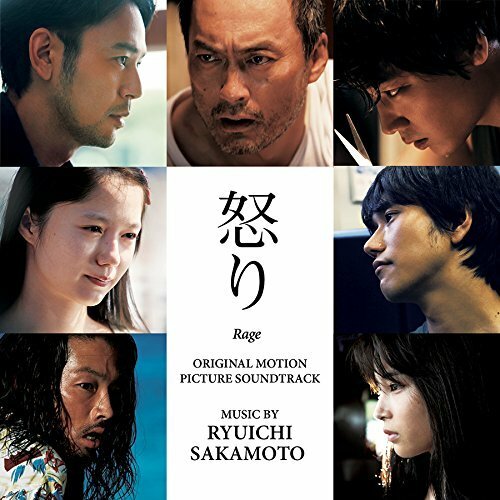 Ryuichi Sakamoto presents his original soundtrack to Rage「怒り」, a Japanese murder mystery by Korean-Japanese director Lee Sang-Il, his second film adaptation of popular novels by Shûichi Yoshida. Predating Sakamoto’s work on the immense, panoramic OST for The Revenant with Alva Noto and Bryce Dessner, his score to Rage is a far more intimate and finely melancholic affair, reflective of the film’s shifting themes exploring identity and the malaise of contemporary society. The main title theme is a memorably symphonic swell of lustrous strings and keys riven with he heartbreaking emotion Sakamoto specialises in, while the rest of the suite is swept between grand instrumental gestures and subtler electronic gilding, feeling out a filigree spectrum of emotions from noirish paranoia to genteel, glitching romance themes.